EUR/USD: Neutral (since 21 Aug 18, 1.1485): Risk of a short-term bottom has increased. While we highlighted yesterday (28 Nov, spot at 1.1300) “the year’s low at 1.1213 is likely out of reach”, we were of the view EUR could edge lower for a few more days. EUR subsequently touched a 2-week low of 1.1264 before Powell’s comments sent it rocketing to a high of 1.1387. The break of the 1.1370 resistance not only indicates that downward pressure has eased but also greatly increased the risk of a possible short-term at 1.1264. From here, a clear break above 1.1400 would ‘confirm’ that EUR has made a short-term bottom at 1.1264 and EUR would then trade above this level for the next couple of weeks. This scenario would not be surprising as long as EUR does not move back below 1.1290. GBP/USD: Neutral (since 21 Aug 18, spot at 1.2795): GBP could move below the year-to-date low of 1.2662. The strong rebound of +0.57% in GBP yesterday (NY close of 1.2823) was unexpected. However, our ‘key resistance’ at 1.2850 is still intact, albeit barely (overnight high of 1.2847). Until the ‘key resistance’ is taken out, we would hold on to the view (see update from yesterday, 28 Nov) that “GBP could move the year-to-date low of 1.2662”. Looking forward, a break of 1.2850 would not change the overall neutral outlook but would suggest that GBP could trade sideways to higher in the coming weeks. In order for GBP to revive the deteriorating downward momentum, GBP has to move and stay below 1.2750 within these 1 to 2 days. At this moment, this seems like quite a tall order. AUD/USD: Neutral (since 13 Sep 18, spot at 0.7170): Prospect of 0.7199 as a short-term bottom is quite high. 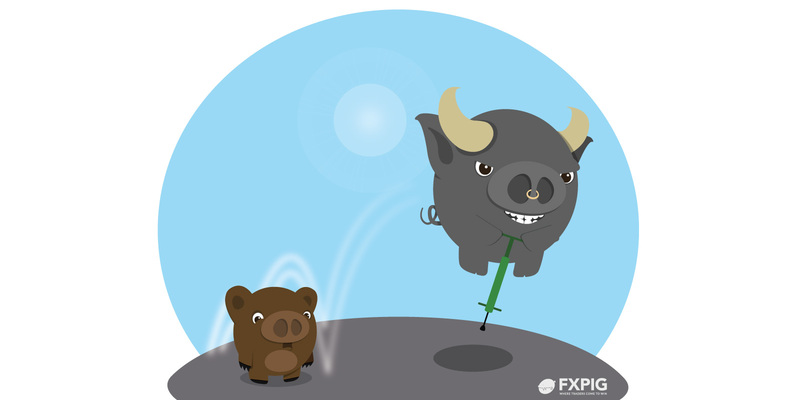 After trading sideways for about a week, AUD rocketed and registered an outsized gain of +1.12% (NY close of 0.7307). The price action suggests AUD could have made a short-term bottom at 0.7199 on Tuesday (27 Nov). However, confirmation of a short-term bottom is only upon a clear break above 0.7335/40 (the month-to-date high is at 0.7338). A clear break of 0.7335/40 (say a NY close above this level) would indicate that AUD is ready to tackle 0.7380, 0.7410 in the coming weeks. From here, the prospect for a short-term bottom appears to be quite high as long as AUD does not move back below 0.7240. NZD/USD: Neutral (since 20 Aug 18, 0.6625): NY closing above 0.6885 would indicate a short-term bottom is in place. While our expectation since 21 Nov (spot at 0.6790) for NZD to trade sideways was correct, the strong surge of +1.20% yesterday (NY close of 0.6874) has altered the outlook. The sideway trading phase appears to have ended and the risk has shifted to the upside. To put it another way, a NY close above 0.6885 (the month-to-date high is at 0.6883) would indicate that the 0.6754 low on Tuesday (27 Nov) is short-term bottom and NZD would then move higher towards 0.6920 (and likely beyond this level in the coming weeks). This scenario appears to be likely as long as NZD does not move back below 0.6780. USD/JPY: Neutral (since 09 Oct 18, 113.10): USD could edge lower but unlikely to threaten the 112.70 support. We highlighted on Tuesday (27 Nov, spot at 113.55) that the “near term risk is for USD to test the top of the expected 112.70/114.00 consolidation range at 114.00 first”. While the expectation was correct, the rapid drop from a high of 114.03 (high in NY) has dented the nascent build-up in upward momentum. From here, we see risk of USD edging lower in the next few days but the bottom of the expected range at 112.70 is unlikely to come into the picture (113.00 is already a solid support).